Daniel Ricci joined the civil engineering department of Pyrotech BEI in 2018. He has bachelor degree in civil engineering from Concordia University. Daniel has more than 9 years of experience in the field of civil engineering. Previously, he worked as a project manager and as a civil field engineer in major projects of electrical distribution, especially in the province of Alberta. 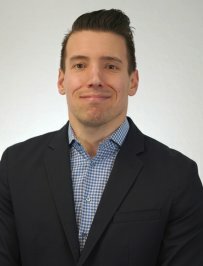 From 2015, Daniel has acted as a project manager and construction consultant, performing both structural and building envelope inspections in the residential and industrial sectors in Montreal. Since 2017, Daniel has worked as a civil engineer in the field of legal expertise on damaged buildings and structures. In his sparetime, Daniel does Crossfit training.